My only New Year's resolution for 2019 is to cook more fish, and so I'm pleased that my first recipe this year is a Bangladeshi fish stew. I've been wanting to share a recipe like this for a while, but I just wasn't sure what fish to use from the supermarkets around me in the UK. However, it seems they've started stocking basa nowadays, which I grew up eating and know as pangash in Bengali. 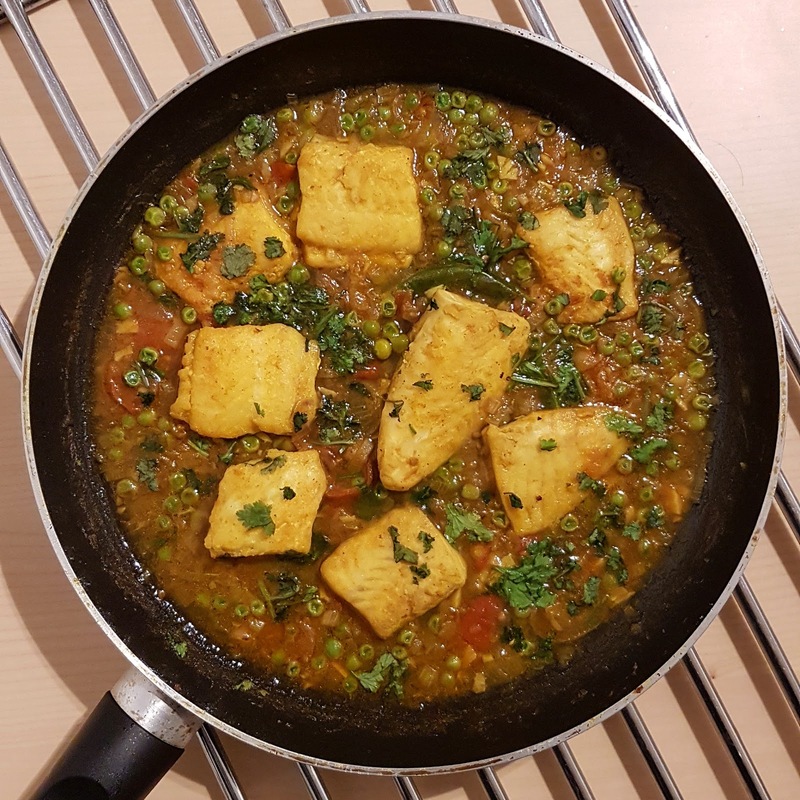 Native to South Asia, pangash has gently flavoured white flesh - which works well with the lighter spicing of this recipe. The classic Dhaka "hotel" version of this dish is made with spices and onions only, in keeping with what a dopiaza usually is. But mom used to add tomatoes and peas at home to give the dish a little more flavour, which is especially important if the fish you're using isn't fresh. Traditional cuts of fish in Bangladesh leave bones in, which means the fish survives* the vigorous cooking process more easily. In the UK I can only get fillets**, which are a little delicate and prone to breaking up from frying and stewing. I recommend cooking this in a pot large enough to hold all of your fish in a single layer, so that the pieces aren't rubbing against each other as you try to flip them or stir the sauce. Additionally, you could opt to flash fry the fillets rather than frying them for 4-5 minutes as I recommend. This makes it easier to keep them intact. However, do note that it's typical in Bangladesh to fry the fish in hot oil long enough so that the pieces are left with a crust - and flash frying won't quite give you the same texture or flavour. The recipe below serves two generously, or four as part of a bigger meal. Please note that unlike most of my meat recipes, this stew will not keep in the fridge for more than a few days. Before you read further, please consider donating to the Red Cross Indonesia Earthquake and Tsunami Appeal. The Red Cross is supporting rehabilitation efforts from the tsunami that struck the country in December 2018. I spent a large part of my childhood in Asia, living between Bangladesh, Hong Kong, Thailand and even briefly the Philippines. This time was perfect for seeing much of the continent, but somehow I never made it to Indonesia till late last year. For someone who spends his life meticulously planning every meal, it was a somewhat impromptu trip - aided by the fact that Bangladeshis no longer need visa to visit the country as a tourist. I think this is a relatively recent rule change, and I took full advantage of it while booking last minute flights and hotels. 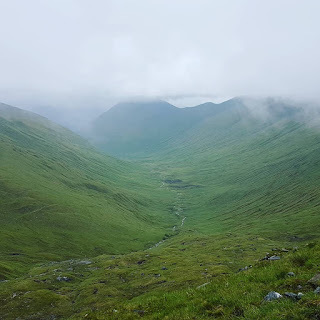 I had around 9 days in the country, courtesy of a break in between jobs and a relocation from Scotland to England. My friends and I kept the itinerary simple, visiting 3 different parts of Bali - Ubud, Sidemen and Nusa Dua. Bali felt like the perfect holiday destination for me, as the it had a whole range of things to do within driving distance: from mountains and jungles to beaches and watersports. But I digress - this is a food blog rather than a travel blog! And hence the below is a very short food guide, focussing mostly on Ubud and with a single entry in Sidemen. I will unashamedly admit to confining us to a luxury resort while in Nusa Dua. Unusually for me, I've also listed a couple of places I wouldn't necessarily recommend going - more as a cautionary tale as they're quite well known. The food in general around Bali was quite good, and you can't go far wrong if you're amenable to south and southeast Asian flavours. I found myself making regional comparisons a lot - the fried rice was served a little differently to Thailand, with many small portions of food surrounding a central mound of carbohydrates. More interestingly, so many of the curries reminded me of Bangladeshi dishes, with slight accents of lemongrass or peanut. But as ever on holiday posts, I can claim no expertise on the food - and the below is simply a list of places I recommend going (or not!). biriyani, mac & cheese among others. but you can still see I burned some of the kofta! Since moving to the UK, I've made it my mission to consume as many Christmas-style meals as possible during the month of December. 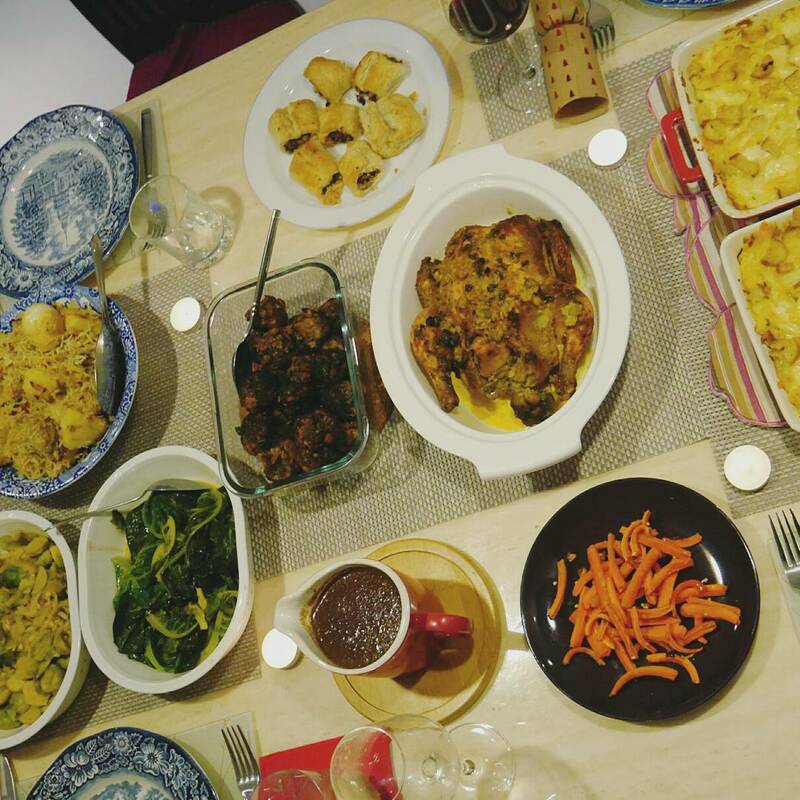 I love cooking roasts and its accompaniments because I don't usually get to, and of course I love any kind of meal that brings people together. Last year I spent the holidays with friends, and we made a joint meal where I volunteered to do the roast and stuffing. The roast was a very simple affair - think normal Bangladeshi spicing on a chicken, marinaded overnight before going into the oven. The stuffing, however, was a little different - because basically it was this. I think stuffing is traditionally made from breadcrumbs pimped up with herbs, spices and (usually) pork sausage. Most of us at the meal last year didn't eat pork, so I initially considered replacing it with another fatty minced meat. This line of thought eventually led me to kofta - and finally I decided I'd just make lamb kofta with some breadcrumbs and pass it off as stuffing. I added the apricots as I've been served stuffing with apricot before in British households, and I really enjoy the lamb and apricot combo. Once I'd decided on the apricot, I thought why not also use up the jar of Moroccan spices languishing in my cupboard, hence the ras el hanout. If you don't have ras el hanout at home just swap for powdered cumin and coriander seed. These koftas can be deep-fried or roasted in the oven - do whatever suits your routine. Roasting makes them a bit drier, unless you do of course stuff them inside a roasting bird. I've given pan-frying instructions below to keep things simple. The breadcrumbs in the recipe below are definitely optional. As you'd expect, they give the koftas a heavier, drier feel. Without them, expect something meatier and bouncier. If you look at my recipe for beef kabab, you'll notice a lot similarities in both method and ingredients. Both dishes have the same roots, but the bread and beef creates a pate-like texture with bite, while the fatty lamb gives you a more squidgy, elastic end-result. The recipe below makes enough koftas to serve 4. Don't feel obligated to stuff them into a roast. For easy variations, play around with the herbs and spices. And of course, omit the apricots if you don't like the sound of them! To cook these in the oven, pre-heat a fan oven to 200C, place on the middle shelf and cook for 25-30 minutes. Organs and innards aren't everyone's cup of tea. While heart, lungs and offal are part of everyday Bangladeshi cooking, I know many people who pass on these options. Which is their loss, as far as I'm concerned. I was introduced to animal innards early in life, and I am a big proponent of cooking and consuming them. After all, as people who eat meat, we should make efficient use of the animals we (indirectly) kill. I eat everything from cow's intestines to chicken's feet and goat's lung, and in fact, intestines are a particular favourite in my family! The most common organs at my table, however, come from the humble chicken. 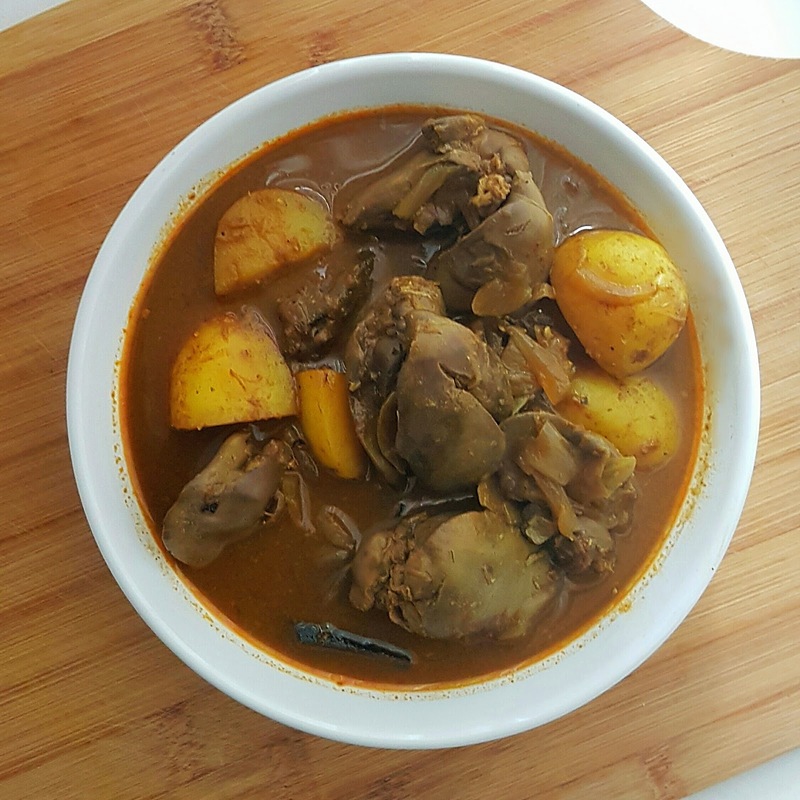 While I was growing up, everything from the head and brain, to the heart, gizzard and other parts I have no English translations for, would be cooked into our everyday chicken dishes. And that would set off the fighting between siblings and cousins, as we tried to decide who would get to eat what. The head seemed to be most people's prime target, though for me, the prize was always the liver. And with no one else interested, I grew up stuffing my face with the liver from every chicken cooked at home. For me, chicken liver with its soft, fluffy texture is like an amazingly meaty, savoury cake. And I love it just as much as I love cake. Calamity struck when we moved abroad though, where supermarket chickens were sold without livers. The next few years of my life were spent devoid of chicken liver, except during the visits back home, or after the odd trip to particular butchers. However, it seems more and more supermarkets in Britain (where I currently live) stock liver as a standalone product. This has meant a return to cooking liver curry for me. The spicing I favour is similar to most other Bangladeshi curries, though the amounts of each spice is toned down in comparison. Chicken liver cooks easily, and doesn't need the super-charged treatment that cow or goat liver might warrant. The recipe below is for 400.00 g - the standard weight sold near me. This technically serves two generously as a main dish, but as liver is rather rich I'd recommend it as a side dish shared amongst a few more. 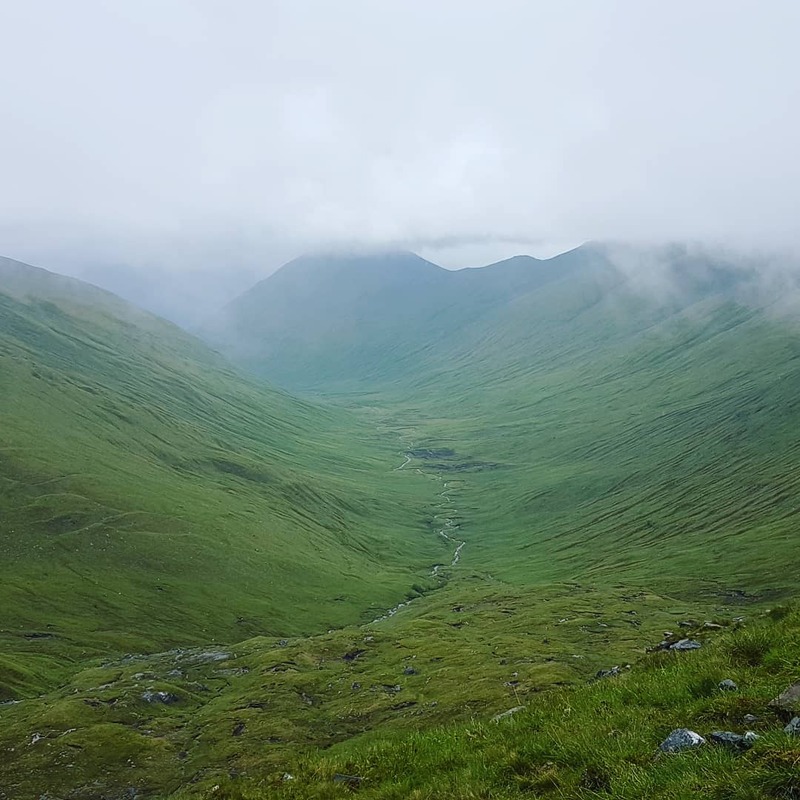 I spent a weekend in Glen Affric earlier this summer, staying at an off-the-grid hostel while attempting to climb some local munros. The hostel itself was quite unique - 13 kilometres from the nearest road and powered solely by a wind turbine and solar panels. This is enough for lights and some heating, but not much else. Cooking is done on gas stoves - supplied by cylinders that are transported in using off-road vehicles. The remote location also makes it difficult to carry supplies onto site regularly, and guests are encouraged to bring food for their own trips. I was travelling with a group of friends, and we all pitched in to carry enough for 3 days. But this was 3 days without access to refrigeration, and we had to make sure everything we brought was non-perishable. Did I mention Glen Affric was beautiful?! I was in charge of dinner on day 2, and I had to think of ingredients that would cope well without a fridge. Hence I opted for daal with vegetables - but spiced up a little to make it work as a main event. I was a little worried about feeding a group of hungry hikers something like this, especially as at my family table daal would never be more than a side dish. So I decided this iteration needed to be richer, and I immediately knew I'd be using meat spices as a base. I've also always loved tart daals with jolpai and green mango - so I replicated that tartness here with tinned tomato. 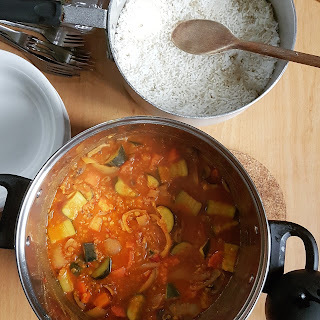 For the veg, I opted for carrots and courgettes because they were tough enough to survive the journey in our backpacks. The result was a spicy, tangy and thick daal: something I know I'll be cooking for years to come. The recipe below serves 6 generously.